Made for all outdoor activities, these versatile binoculars are perfect for enjoying thrilling action-packed views of the outdoors or at events. Rugged and reliable, these binoculars feature a rubber armor covering making them waterproof. 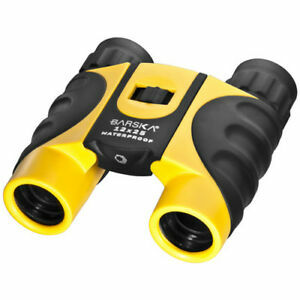 I was pleasantly suprised when I actually received my Barska Binoculars. 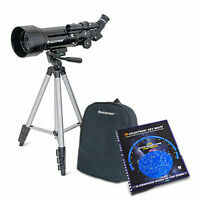 I was extremely happy when I received my Barska Binoculars. I needed binoculars as I love to go snorkeling and some deeper diving. We live on the shore of Lake Michigan and visit the Pacific and Carribean. The Barska are easy to use, lightweight, optical is clear, and I love the yellow color. There is nothing I don't like about the Barska. The price was fair for the quality. I have gone through 2 binoculars. I wanted binoculars that were lightweight and easy to use. The Barska fits the bill. Great on recent trip to Dominican Republic. Fast service and a very reasonable price. Handy pair of glasses to through in travel bag. For a small, but 12 power glass, they do an adequate job of magnifying under good light conditions. I would recommend them to anyone, birders, boaters, girl watchers, etc., as a backup pair of binoculars. great little product for the hobbyist. This is a very nice pair of binoculars that are not heavy to carry around. Make a great gift for hobbyist such as birding or on vacation. Comes with directions on how to properly use them so you get the most out of them. Non-fog and water resistant. Great little product.